While not as internationally known as, say, Tokyo, Yokohama is easily just as important in Japan's history. It was the city that was first opened up to foreign trade (forcibly, but still...) after a long period of isolation for the island nation. As various traders made their way to the city, they brought various goods that they would sell to merchants headed all across the globe. Each trader wanted to be the most influential. And that's where the board game Yokohama comes in. The deluxe edition of which is up on Kickstarter now. In the game, players take on the role of Meiji-period traders in the city. Your job is to build a successful business (as you'd expect). You do this by building a store, having the various goods that buyers want, getting knowledge of various techniques, and expanding your market. 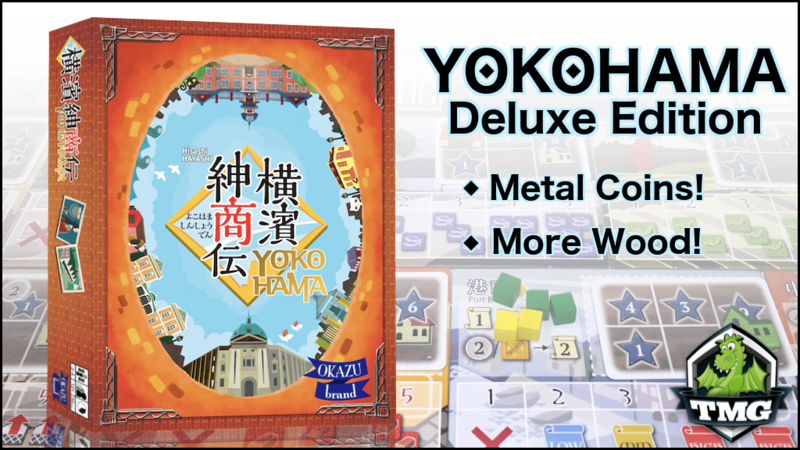 This deluxe version is all about upgrading various tokens and counters to either wood or metal (depending on the piece in question). It's pretty popular too. They've blown past their funding goal. And even 2x their funding goal. They're currently 2.5x funded and working towards 3x with still 23 days to go.